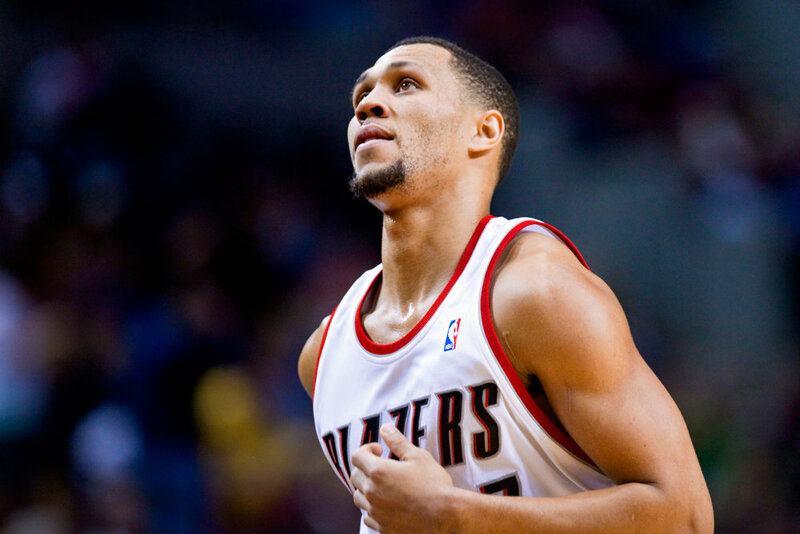 From the time that Brandon Roy arrive in Portland, he has been an inspiration to the thousands of fans of the Trail Blazers. He revived the City back to its Golden Age just like when the legends like Clyde Drexler, Bill Walton and Maurice Lucas were still playing for Portland. But sadly, B-Roy has announced yesterday that he will already retire because of his debilitating knee injury. Roy Tried to make a comeback for Portland last season after undergoing six surgeries. That's a testament on how bad he wants to play the sport that he loves. When Roy came back to play last season, he was able to carry the hapless Blazers to a win over some of the over powering teams in the NBA including the reigning NBA Champs, the Dallas Mavericks. I can still remember what Roy did in one of their games against Dallas in the Playoffs. He registered 18 points in that game which was highlighted by his 8/10 field goal shooting in the 4th quarter en route to leading the Blazers to a win against the highly favored Mavericks. Roy was said to also be a steal in the NBA Draft 2006. And it appeared to be true indeed as in just 5 years of playing, he was able to make a collection of memorable plays that will last in eternity. Including a game winning shot against the Rockets with .8 of a second remaining in the 4th quarter. Roy may have already retired from playing, but he surely has/had a great NBA career that he can share to his grand children someday. Bye bye B-Roy! You will stay in my heart forever. You're an inspiration. Tama lang yan. No need to push yourself when you know that your game won't be back anymore. I admire him for that. Up to know jinxed pa rin POR sa mga picks nila. Brandon was promising after his rookie season. Then he got injured. Their pick afterwards was Greg Oden. Kahit naman ako, I'll pick Oden over Durant dun sa draft na yun. Oden was phenomenal in college. Then he also got injured. Malas talaga POR sa mga picks nila. Bill Walton gave them their lone title pero na putol din career dahil sa injuries. Do I have to mention Sam Bowie? Si Drexler lang talga at Terry Porter ang mga picks na naging successful sila.